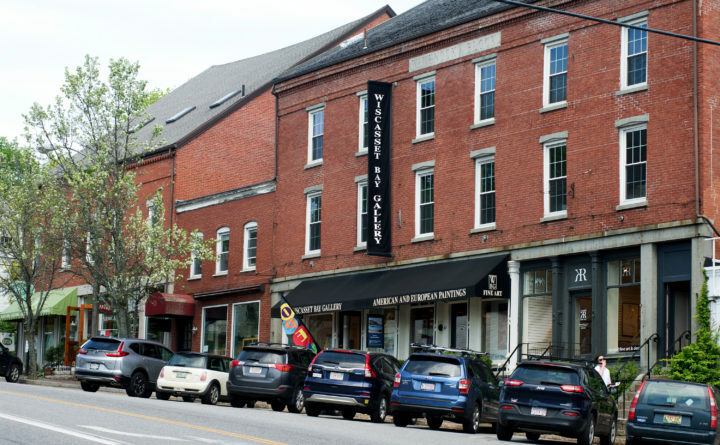 Construction of a controversial, $5 million project to address traffic bottlenecks on Route 1 in Wiscasset will begin anew on Monday as crews continue excavation and installation of traffic signal mast arms and drainage on Main Street. In the coming week, contractors will continue excavation and placing concrete for traffic signal mast arm foundations at the intersection of Water Street and Route 1, along with excavation and setting foundations for pedestrian signals and placing conduit for street lights, traffic signals and pedestrian signals, according to the Maine Department of Transportation. Contractors will also complete drainage operations on Main Street by setting the catch basin by the railroad tracks, beginning to remove frames, grates and covers from catch basins and sewer manholes in preparation for pavement removal operations, and water gates will be lowered. Between April 21 and April 26, contractors will complete lowering structures ahead of pavement removal operations and begin pavement removal operations on Water Street and Route 1. Parking on the northbound side of Main Street will end, and temporary striping will be applied at the end of each work shift. Electrical contractors will continue excavating and placing concrete for traffic signal mast arm foundations at the intersection of Water Street and Route 1, and excavating for and placing of conduit for street lights, traffic signals and pedestrian signals will continue. The MDOT expects Charter Communications to continue working onsite during the days to transfer their lines to the new poles and update facilities.